Enticing candles! Review and reveal! Plus a giveaway! Today’s post is a review and ring reveal for the two enticing candles products I was sent to try. I got the berry infusion and the coconut paradise ring candles. The candles cost $52.95, Both with the chance to get a ring worth between $10 and $1150. Overall they are such good value because candles themselves are expensive but you also get the added bonus of exciting presents inside! So the two rings I got ended up having equal values both being worth $99 so I got way more then my worth. They are both gorgeous rings as well and I picked my size perfect! These are the rings I got with each candle! I can definitely see how people get addicted to collecting the rings. The second I saw which rings I got I wanted to buy more candles and bathbombs to try find one worth the most! 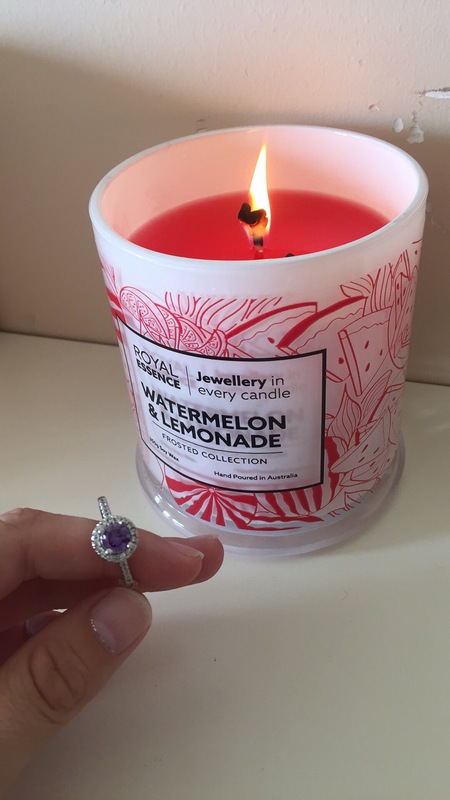 They are such a great idea and honestly it’s a win win, even if you get a ring worth $10 you get a beautiful smelling candle! The candles do take quite a while to get down to the jewellery but you can use tweezers to grab it quicker if you are impatient like me. Overall I give the candles a 9/10 they could be a little stronger smelling, but they are amazing value, they are beautifully designed and made! I can definitely see myself collecting more. Has anyone bought one before? What ring did you get? Show me in the comments! Also I have a giveaway running on my insta! 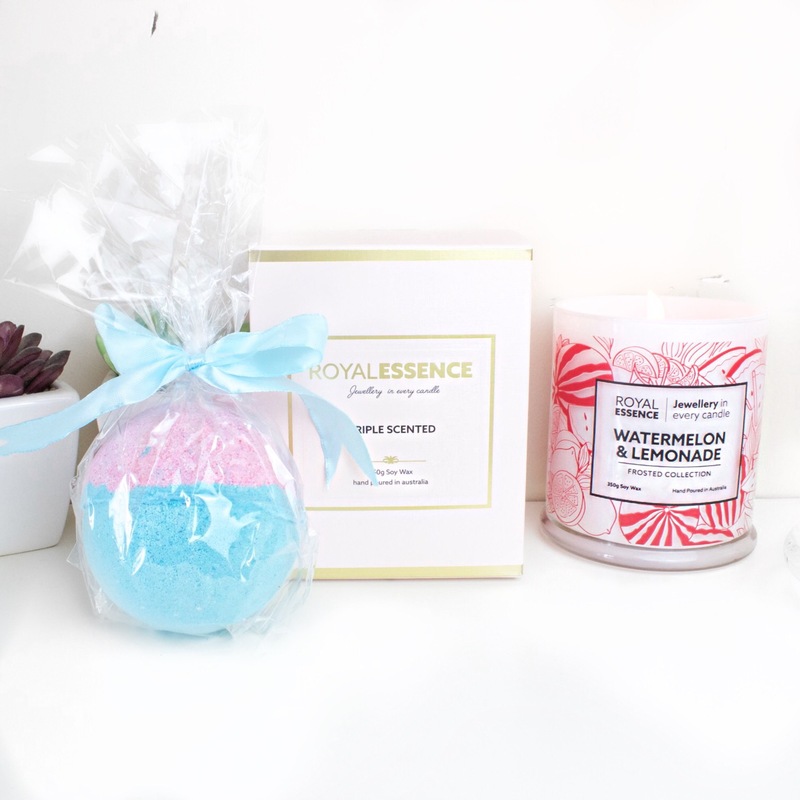 Royal essence ring candle + ring bath bomb review and ring reveal! 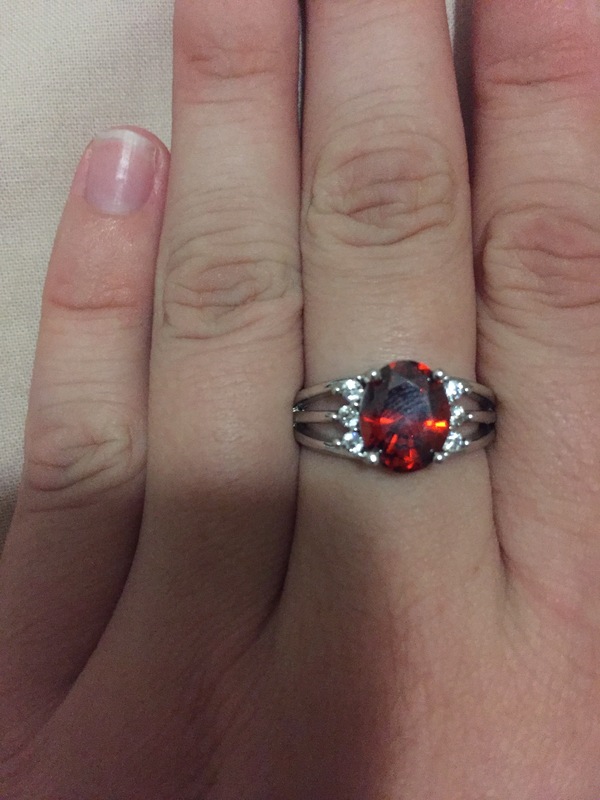 Today’s post is a review and ring reveal for the two royal essence products I tried. I got the watermelon lemonade candle and the bubblegum bath bomb. Both with the chance to get a ring worth between $10 and $2000. Now that’s pretty awesome, seeming as the prices aren’t much more expensive to candles that size usually, the bathbombs are a bit more expensive then the usual but they are a less messy way of getting to reveal a surprise ring. So the two rings I got ended up having equal values both being worth $40 so I actually saved money in the long run. They are both gorgeous rings as well. This is the one I got with my candle. They are such a great idea and honestly it’s a win win, even if you get a ring worth $10 you get a beautiful smelling candle or bathbomb!